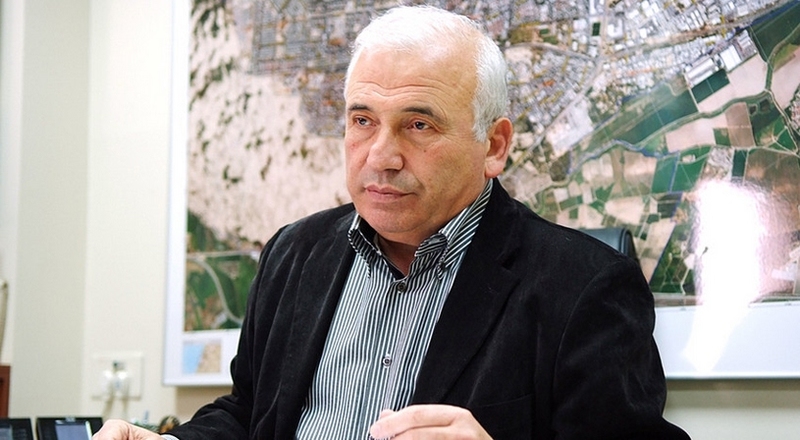 Boris Giterman, Mayor of Ashdod. Ashdod, one of the oldest cities in the world, and currently Israel’s largest port, will dedicate one of its streets to Angelo Roncalli, Pope John XXIII (1881-1963), in recognition of his work to save a large number of Jews during World War II. The fifth largest city in Israel will also offer this recognition to another great rescuer of those persecuted by the Holocaust, Raoul Wallenberg (1912-1947), a Swedish diplomat recognized as “Righteous Among the Nations,” since his work saved the lives of over one hundred thousand Jews. The initiative of dedicating a street in the city to the Pope and to the Swedish philanthropist was promoted by Boris Giterman, acting mayor of Ashdod, in response to a request from the Raoul Wallenberg Foundation, which is chaired by Eduardo Eurkenian and was founded by Baruch Tenembaum. In an interview with Aleteia, Giterman explains how and why he decided to propose this recognition of the actions of Pope John XXIII, who began a new era of relations between Jews and Catholics when he convened the Second Vatican Council. Why have you presented this proposal, which is so significant for Jewish-Christian relations? My decisions generally have an emotional basis, since I am a human being. The Raoul Wallenberg Foundation’s proposal arrived just when Israel was celebrating the Holocaust Remembrance Day, so of course it moved me very deeply. An event in remembrance of the Holocaust was being held in the city of Ashdod on that same day, and I personally arrived with the proposal, which I presented to the city. The Holocaust always moves me deeply. I often visit Yad Vashem, the official Israeli memorial to victims of the Holocaust. In particular I am moved by the example of the rescuers who risked their lives to save the victims of the Holocaust. It is something that must be remembered and taught to the younger generations. The city of Ashdod is very involved in the task of education, especially as regards teaching students about the Holocaust. It is also involved in giving recognition to the rescuers. The city has many immigrants from the former Soviet Union and for this reason, a book was published in Russian about the Holocaust survivors from the Soviet Union. These were “adult children,” since they are people who experienced the Holocaust at a very young age, but the terrible situation made them adults. What message does this Israeli city want to give to the world by honoring John XXIII in this way? The city of Ashdod is made up of ninety communities from different places of origin, and the message of the mayor of the city of Ashdod is one of peace, tolerance, brotherhood and respect between all the communities. Therefore it is very important to honor the memory of those who saved Holocaust victims. Here in Ashdod, we realize that each community must preserve its own cultural heritage and respect it. With this gesture, we are spreading a message of love, hope, and peace. We hope other cities will also adopt it. In Ashdod, we say we hope we will always love our neighbor. In Rome, it will most likely cause great satisfaction to see that a city in Israel has decided to honor the memory of Pope John XXIII. No doubt it will greatly please Pope Francis, who has shown a great closeness to the Jewish people during his ministry as archbishop in Argentina and now as bishop of Rome. It would certainly be a great honor to visit the Vatican for this reason. To the extent of its ability, the city of Ashdod, contributes to Israel’s diplomatic relations with the world. We have agreements with sister cities in the former Soviet Union. Now we will visit Moscow and other smaller cities. For me it will be a great honor to do everything I can to help diplomatic relations and fellowship relations in the Jewish through the State of Israel, and with the Catholic world through the Vatican.